Celebrating Four Mostly Electric Years of the rEVolution. 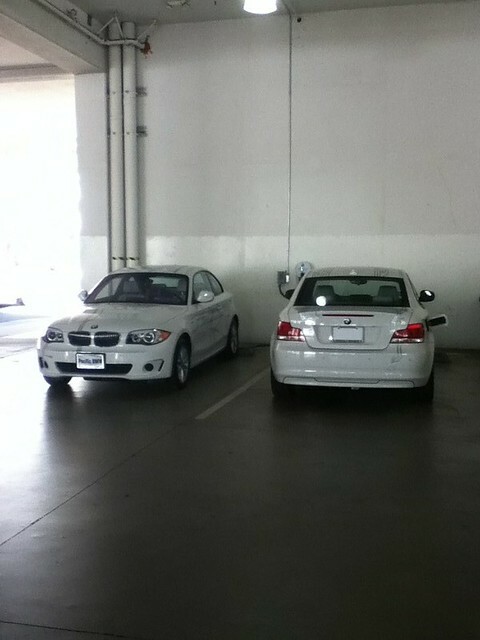 On February 23, 2012, we joined the rEVolution with the addition of our BMW ActiveE. Brought it home and plugged it in… We didn’t even have our Level 2 installed at the time and had to charge a BEV with an 80-100 mile range on 120V. Granted, my commute at the time was 70 miles roundtrip if I took the most direct route, and the “fastest” route used the carpool/HOV lanes and that was 100 miles roundtrip. 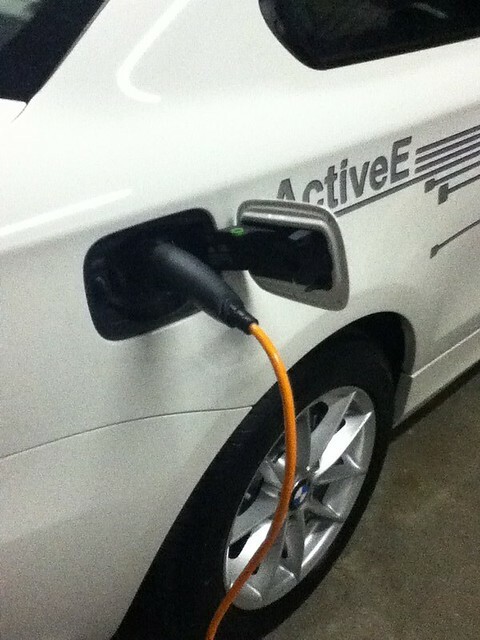 BMW’s friendly policies for ActiveE Electronauts meant that I was able to charge at Pacific BMW (a 10 minute walk from my office) J1772 station and ensure that I recovered my miles that first week. I wrote about my first year of electric driving on the blog three years ago. Once you go electric, it’s hard to look back. At the time that we picked up the Active E, we had a few ICE vehicles in the garage. The Active E was outnumbered by ICE vehicles and we figured to keep the ICE for our hybrid garage. 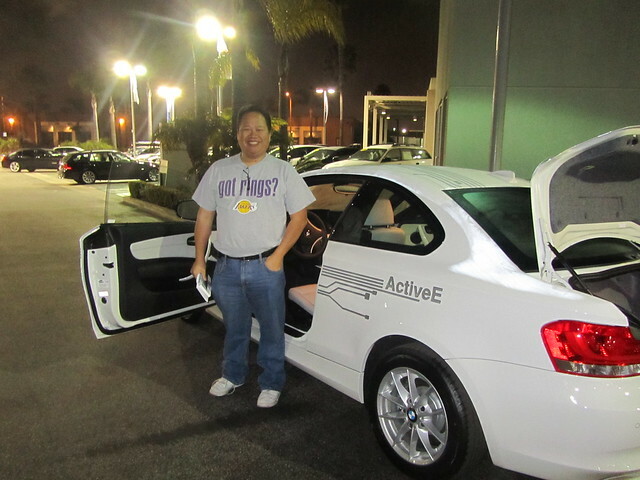 After taking delivery of the Active E, we we sold our Honda Civic Hybrid. There was no real need to keep it since we originally purchased the Honda as a commuter vehicle and the Yellow HOV stickers were expired by the time we picked up the Active E.
The two year lease of the Active E meant that there was pressure to see what “the next car” will be and we decided to place a deposit for the Model S. However, at the time, the plan was for my wife to get the S and for me to look for a replacement for the Active E.
We received our “configure your Model S” message in the beginning of 2013. However, we still had another year on the 2 year lease on the ActiveE and we didn’t think we would run with 2 EVs concurrently, so I took the time to test out other cars for me to use when we decide to become a 2 EV family, after all, the Model S was going to be her car. Since I wanted to ensure to get the Federal Tax Credit in 2013, we delayed the delivery of the vehicle to the end of the year. The ideal delivery would be December 31, 2013, however, understanding the Tesla process and to ensure that I get the vehicle with some “buffer” we settled to take delivery in November 2013. 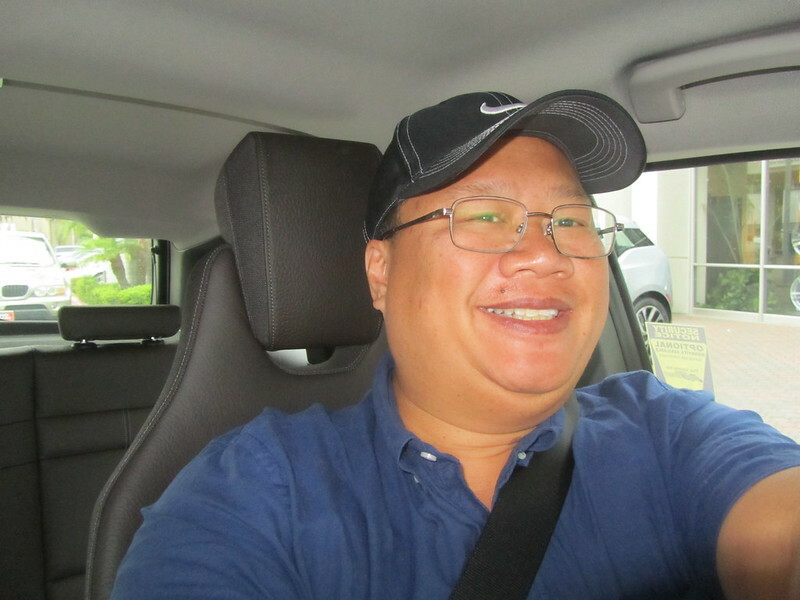 Long time readers of the blog and participants of the now defunct Active E forums will remember the many test drives (a few sample test drives: Coda, Fiat 500e, Smart ED to name a few) and discussions over what my next car will be. 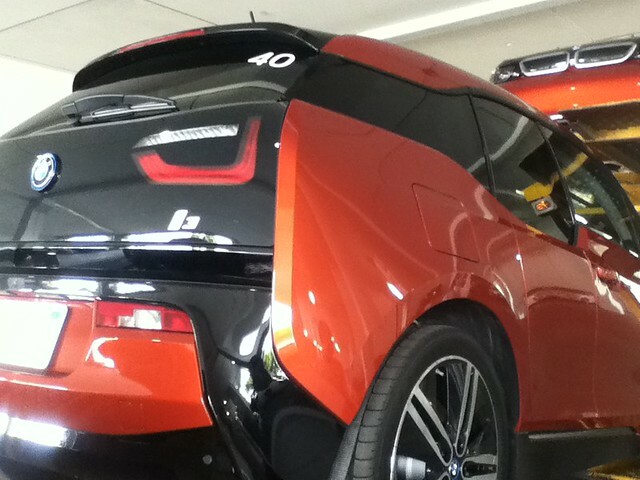 I was really hoping to love the i3 and my wife was “under protest” if I went with the i3. 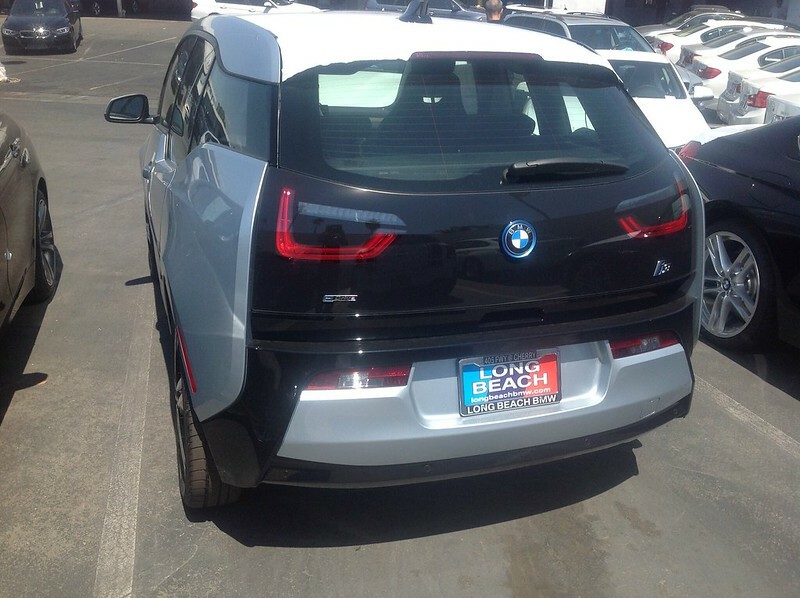 At the end of the day, we skipped the i3, a decision that I discussed on a previous posting. To make November 2013 delivery, we figured that we needed to start configuring our Model S on August 2013. 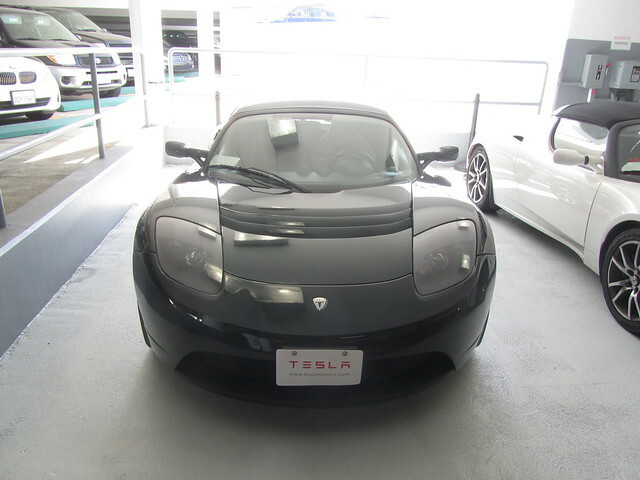 It was at this time that we noticed a bunch of Tesla Roadsters being sold as Certified Pre-Owned (CPO) and my wife fell in love with her Roadster. So, it was at this point that we decided to pick a Roadster up and the Model S became my car. 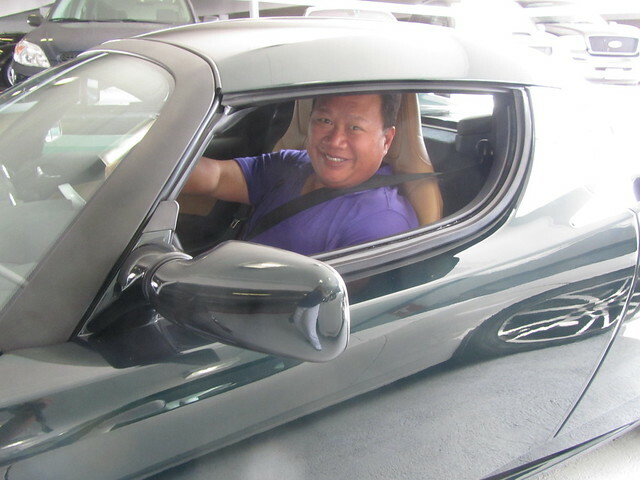 Picking up the Roadster was awesome, but not without problems. And a few months later, we did our first roadtrip with our Model S when we picked it up at the factory. And live-blogged the weekend a few hours before and a few days after. I summarized the whole weekend. …was for the driver. Needed Starbucks. 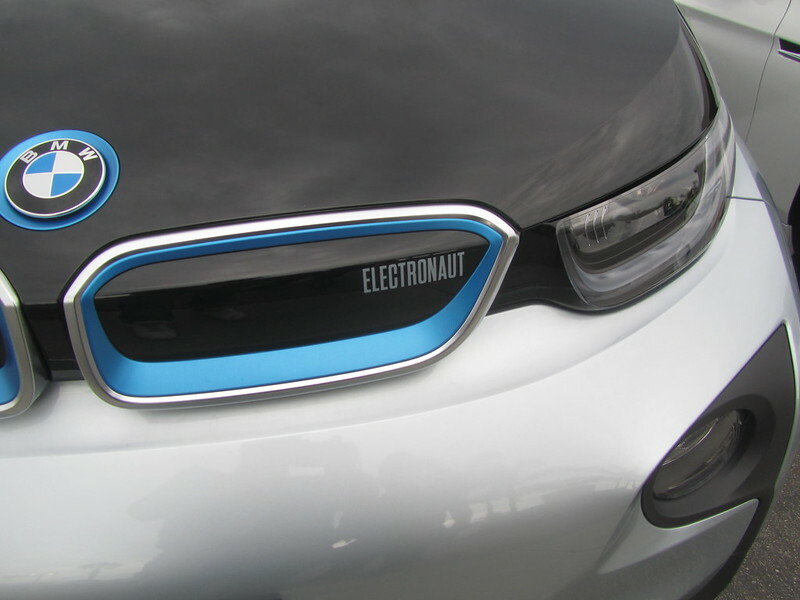 Though we started the year thinking that we wouldn’t need to drive 2 EVs, we ended up with 3 EVs from November 2013 until the return of the Active E to BMW on February 2014. The second year anniversary was a bittersweet one. 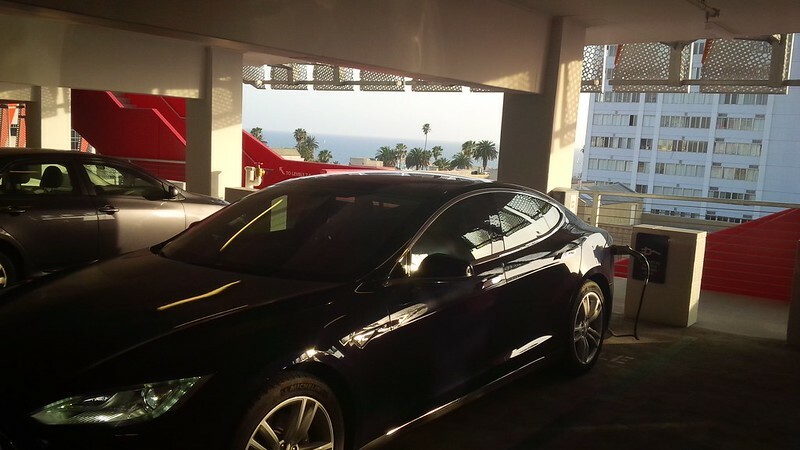 The following year of EV ownership strengthened our positive impression of Tesla Motors. 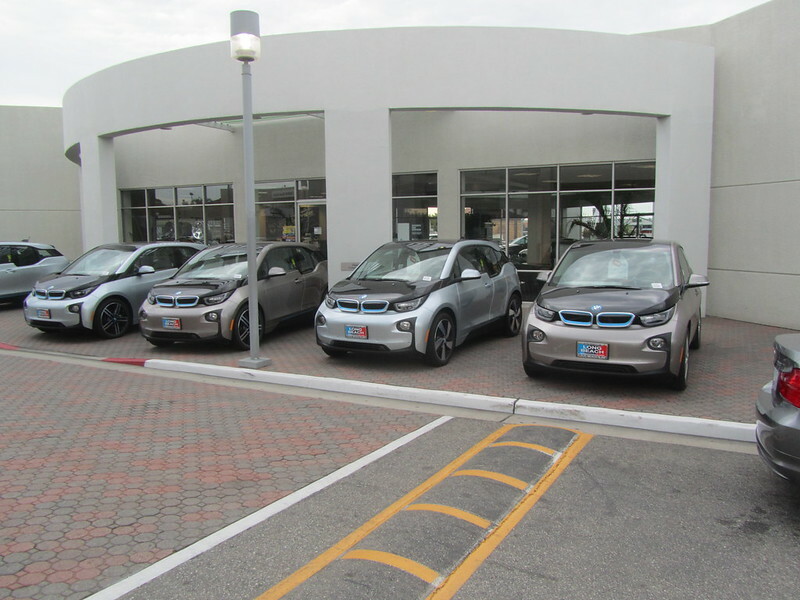 The BMWi debacle in the launch of the i3 in the United States made us adjust back to the original plan of 2 EVs for daily use. Originally we wanted to get a third EV so that we can minimize the miles in the Roadster, but my better half was having too much fun driving her Roadster and didn’t feel like swapping it out on daily drives. So, we saved some money and skipped the third EV. I didn’t even write a 3rd EV Anniversary post. So, from February of last year to now, we’ve settled into a life with our two EV, one ICE hybrid garage. This past year, we’re really just living the rEVolution on a day to day basis. We took our Model S on a Roadtrip Coast-to-Coast and back, and it was a blast. With over three years of EV driving, we don’t suffer from range anxiety, however the trip solidified our “can do” attitude as far as driving our EV for distances and this past year we took more roadtrips than we’ve done the previous years. So, what’s in store for our EV future? To begin with, we’re about 2 weeks from the third anniversary of my ICE vs EV statistics that I’ve been tracking and we broke 90% EV vs 10% ICE use after almost three years. But that’s another post. My Thanksgiving 2015 post gives a good hint of what I’ve been up to. 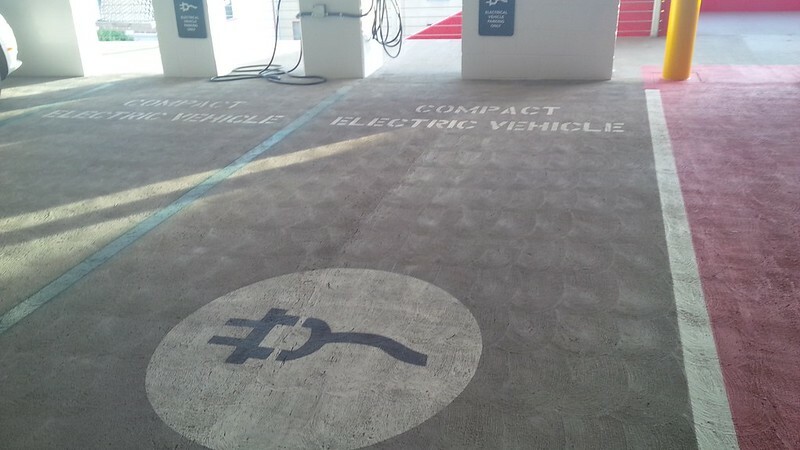 Additionally, I am happy to report that my client, EV Connect, Inc., was selected for three of the nine Electric Charging Highway Corridors for the California program. This project, when completed will allow all EVs equipped with CHAdeMO and/or CCS DC Fast chargers to complete the travel from the Mexican border to the Oregon border with Level 3 charging stations. Additionally, the Model 3 reservation process will be open on March 31st for a $1,000 deposit. We’re trying to see if we’ll take advantage of this or not. Lastly, we’re thinking of expanding our long EV roadtrip plans. We are tempted to do another coast-to-coast trip using one of the newer routes. Perhaps we’ll finally join the Teslaroadtrip folks on one of their cool get togethers. This year, they’re planning on something at Colonial Williamsburg, and we’ve never been. We’ll have to see if things work out for this trip. Here’s to hoping that the Model 3 and its competing EVs become massive successes and we transition from ICE to EV at a faster rate. In the meantime, time flies when you’re having fun. Posted on February 23, 2016 March 5, 2016 Categories ActiveE, BMW i, Tesla, Tesla Model S, Tesla RoadsterTags ActiveE, BMW ActiveE, BMW i3, BMWi, Electric Car, i3, Tesla, Tesla Model S, Tesla Motors, Tesla RoadsterLeave a comment on Celebrating Four Mostly Electric Years of the rEVolution. 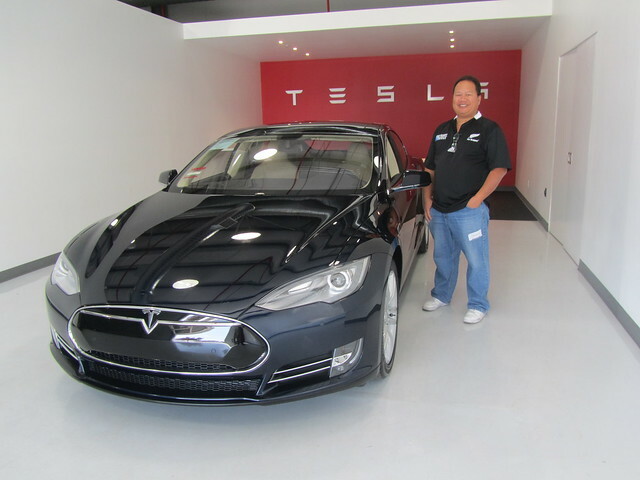 It seems just a few months ago that we picked up our Model S from the factory in Fremont. 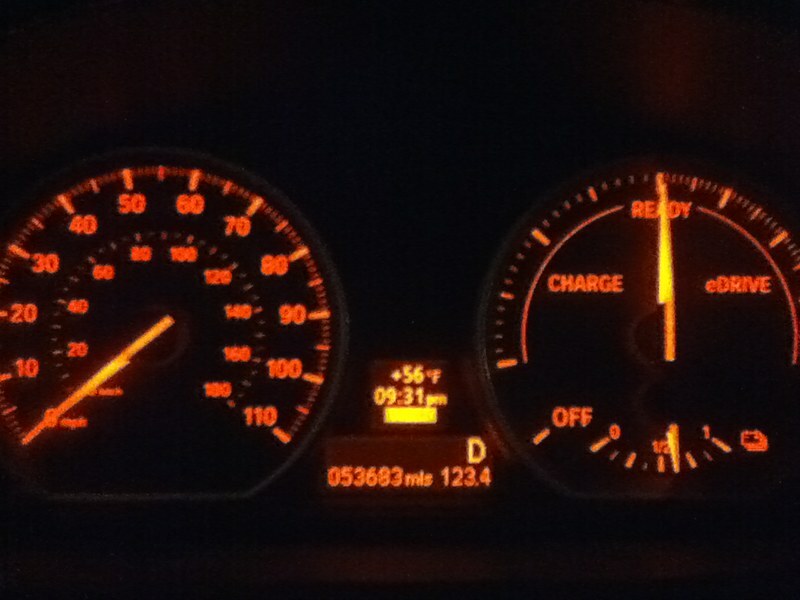 It’s been three months and a week since we’ve had to return the ActiveE to BMW. And I’ve already made it to 13,000 miles. Thirteen thousand is significant because that means that I’ve just completed my first recommended service at 12,500 (closer to 12,450 in my case) and I’ve made full use of the Model S during this time. It’s been a month and a half and we’ve put in 3,000 miles on the car. And I guess the latest thing to update is the probability of getting an i3 for the daily drive is diminishing. I had marked it down to 5% chance of happening. “>AM Radio problem of the Model S, at least it has an AM Radio. The latest thing to affect me on the BMW i3 is the removal of AM Radio from the features of the vehicle. Let me reiterate, AM Radio is no longer included. I wonder if the good folks at BMW are getting a kickback from Sirius XM or some other entity to remove access to the most common part of the radio dial for News, Sports, and Talk. Living in California, when an earthquake hits, if one is not near a TV, you can pretty much guarantee that the News stations will cover the latest earthquake. The FM part of the dial does not include ANY of that coverage in any sort of meaningful way. Not to mention my obsession with listening to local sports teams play. It’s barely comprehensible on the Model S, but it’s just not available on the i3. Additionally, the addition of the Hill Hold feature has been an unexpected blessing. 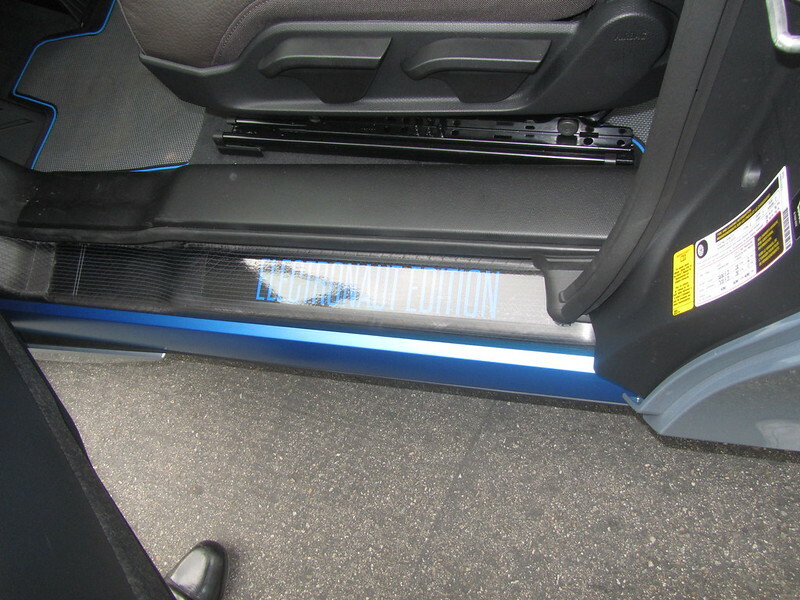 The Hill Hold feature allows a Tesla Driver that does not use Creep mode (creep is when you simulate the Model S like an ICE car by forcing it to move forward when the driver’s foot is not on the brake) to take their foot off the brake and have the car hold in place before hitting the accelerator to move forward when stopped at an incline. Prior to the implementation of this setting, the car would roll backwards the moment that the driver released the brake. 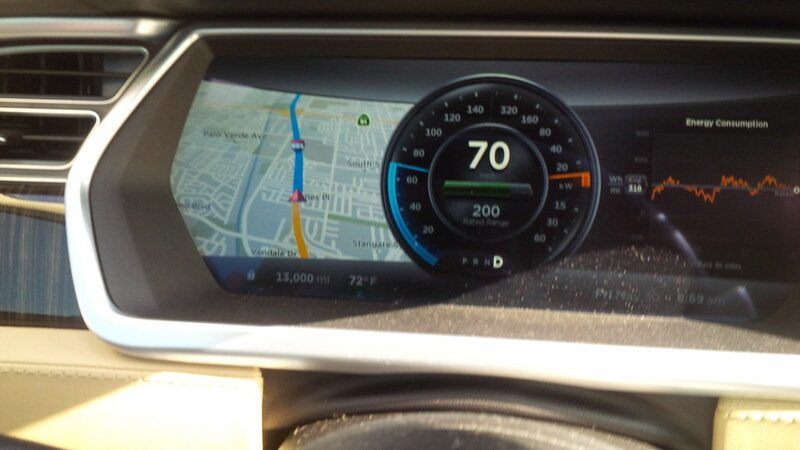 This seemingly minor improvement in the way the car performs has increased the ease of driving the Model S noticeably. Aside from the constant improvement on the vehicle, the Model S Annual Service was trouble free and completed in very much a “no hassle” manner. I prepaid the Annual Maintenance with Ranger Service option. What this means is that Tesla will perform some of the maintenance and fixes at my location. I’ve had great service relationships with several BMW dealerships and I’ve often been lucky enough to get a nice loaner every time that I’ve brought a BMW in for service. Regardless of whether it is during the warranty (or as is the case with the very old vehicles) considerably past its warranty. The Tesla service is exceptional. Granted, my normal service center in Costa Mesa is often overbooked and a month out, but the beauty of the Ranger service in Southern California is that between my home and office, I have access to at least four more service centers. So, I found one that will drive out to me and either perform the service or drive it back and forth to me while I’m in the office. In the case of my two Ranger calls for my annual service, Tesla came out for the first one (my 12,500 mile service) and dropped off a Model S 60kWh, standard suspension car while they worked on my car. 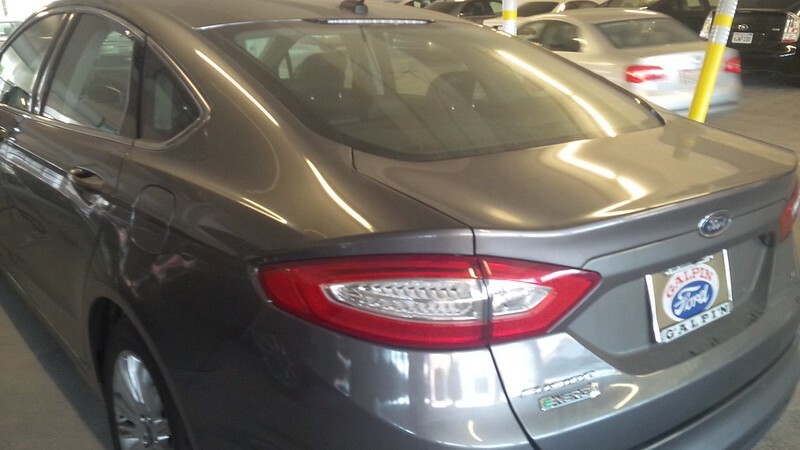 The car had to be brought back to their service center because they were installing the Titanium Shield as well as other things that required them to use the tools in the shop. They picked up the car a little later than we set up and got the car back to me a little later but this was all understandable as the service was performed the Friday before the Memorial Day Holiday and there is no way to get around the LA area in a reasonable time that Friday. The one deficiency from the original call was they forgot to do one minor fix regarding the door seal to the driver side that required them to come back out with a Ranger. The second time around the Ranger arrived thirty minutes earlier than our appointment and promptly met me in my office garage when I got in. He was able to fix the problem in the promised time and left. Needless to say, as much as I’ve had great service from BMW, the Tesla one exceeded that. So, I guess things are working out with the Model S. At 13,000 miles, I would say so, the most telling thing is the diminishing chance of picking up an i3 for this BMW loyalist. I rated it down to 5% chance and that’s from a mixture of Tesla Execution and BMW/BMWi acting like “Keystone Cops” on the launch of the i3 and providing me with enough time to drive our Model S from the time that I was forced to relinquish my beloved ActiveE, literally CRUSHING my dream, and the constant removal of things that I want or need in my seemingly endless commute in Los Angeles traffic (Sun Roof, AM Radio, EV batteries that they could have put instead of a stupid REX). My i3 should be built by the time I publish this post, and another few weeks before it lands on our shores. Who knows, I might still forgive the BMW guys, or I might just tell them no thanks. 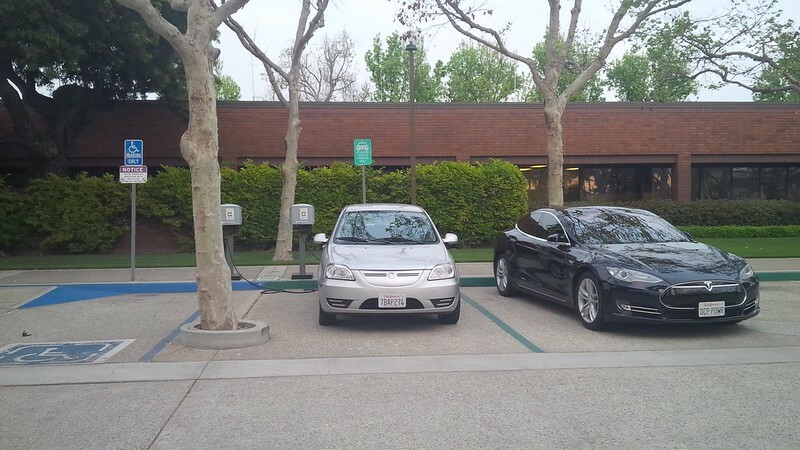 Most of this post’s observations were from the same day… One of the fun things about being a rEVolutionary in Southern California is the variety of EVs that I get to encounter. 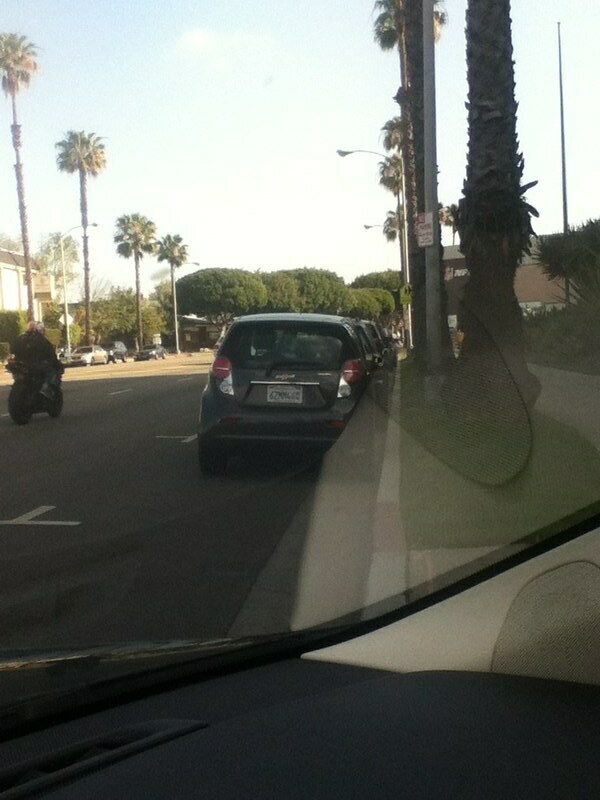 In traffic on Thursday, March 20, 2014. 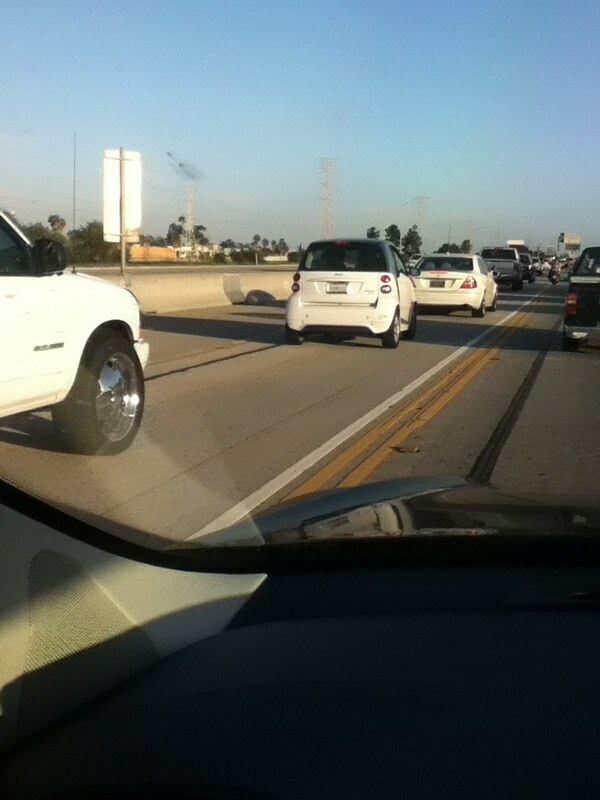 This one was on Interstate 405 in the carpool lane (I was trying to get in the carpool lane). 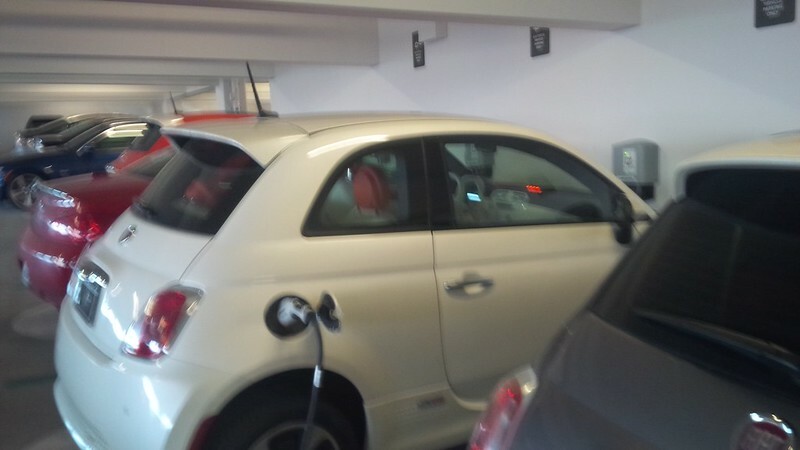 At a public charging station a little later, this was on March 25th, 2014. I went for a random charge station check (I like to try to populate my Model S map with charging stations). 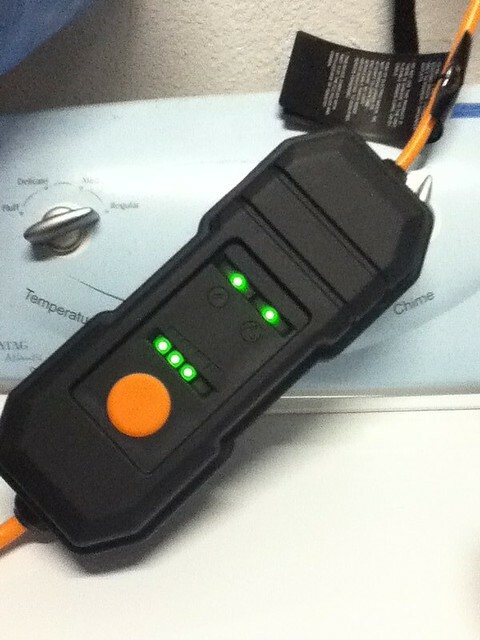 I only stopped for a few minutes, enough for the software to register the charging station as “good”. But I was excited to see this Coda Electric Sedan. On Friday, March 28th on my way to the office after dropping my wife of at her work. 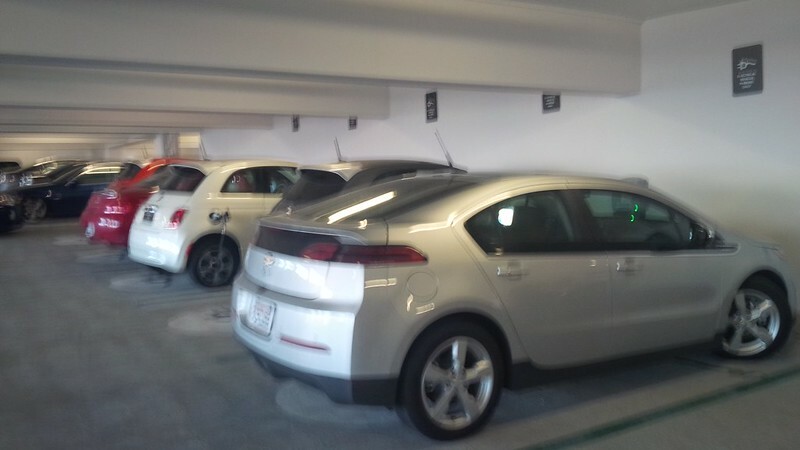 Their parking lot now has at least one Leaf and a Volt that I’ve seen (aside from her Roadster when she drives it in.) It’s a cute little Chevy Spark EV. Love the view of the ocean from this high up. 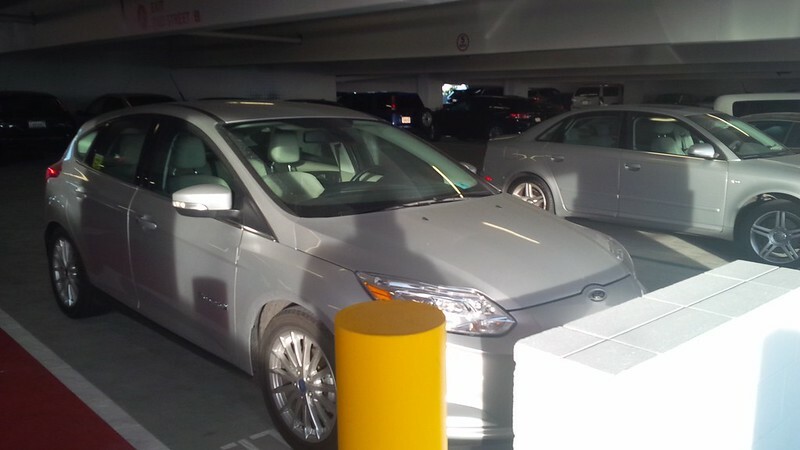 On the Fifth Floor, there was a Ford Focus EV parked. 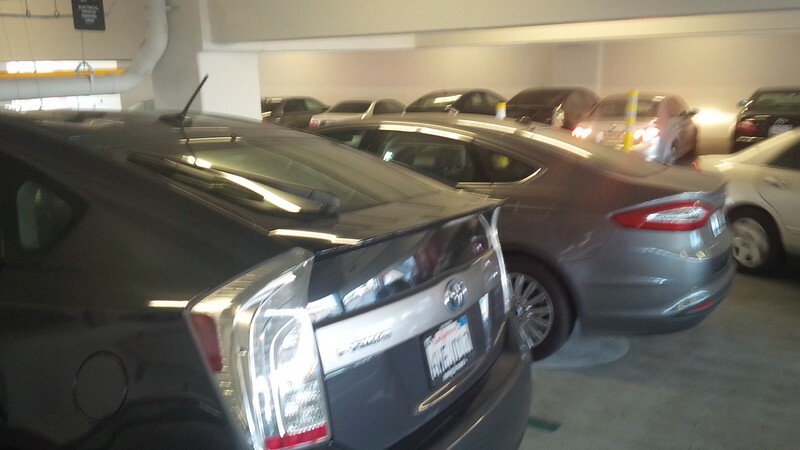 A little of the confusion in this lot is the spots set aside for EVs. 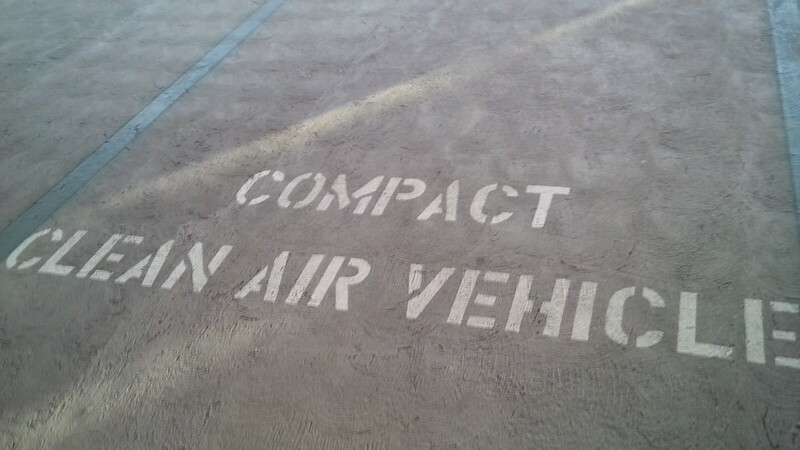 and for “Clean Air vehicles”, Hydrogen? Natural Gas? Regular Hybrids? This is pretty confusing labeling and I wonder how Santa Monica enforces this. 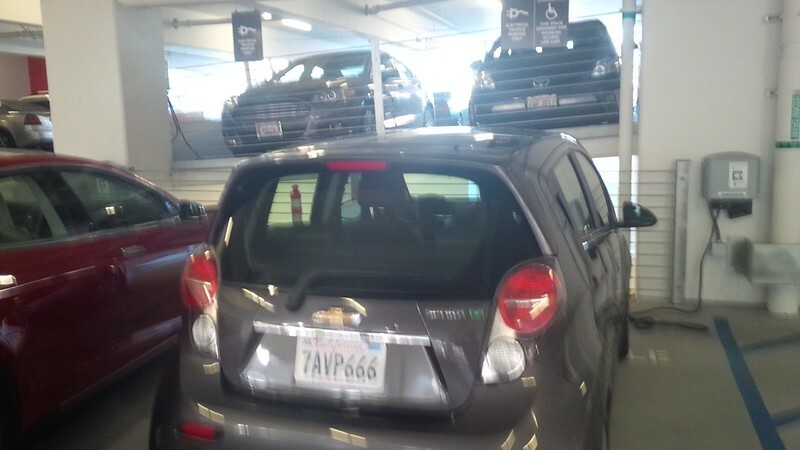 The second Chevy Spark EV that I’ve seen today. 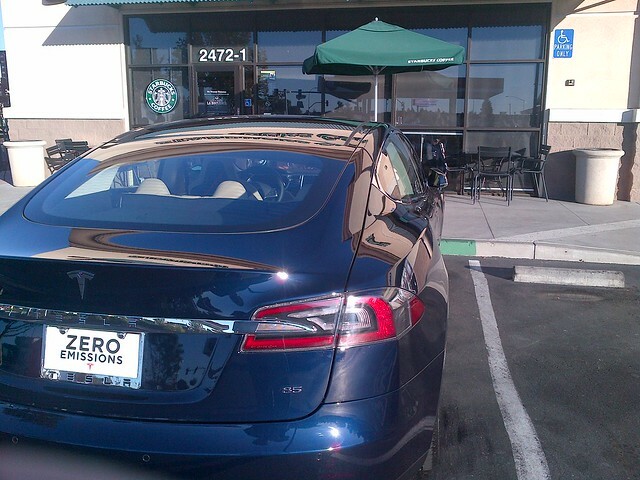 It was parked beside a red Model S, with the Fusion PHEV and Prius Plug In parked around the corner from it. 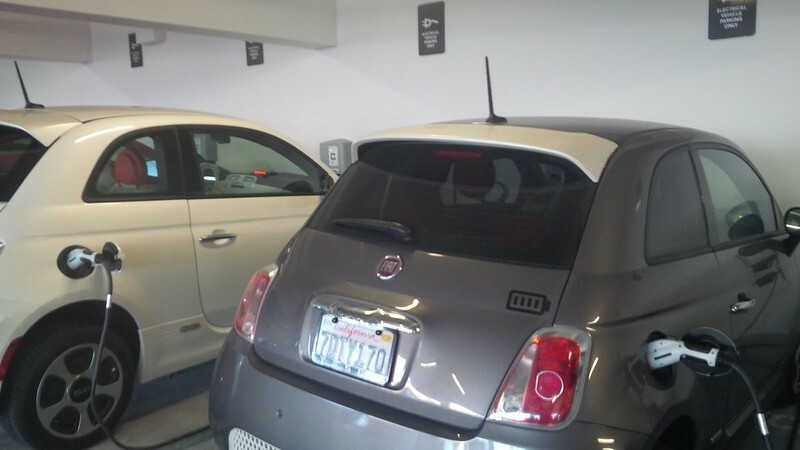 Aside from a few Model S in the garage, it would seem that the Fiat 500e count in this particular garage was quite skewed and interestingly enough, there were no Nissan Leafs parked at the lot. I did see one when I was exiting the lot. Additionally, there was only one Chevy Volt. Things have definitely picked up around Southern California. I remember when I would run into people that I know at charging stations. More often than not, they’re mainly strangers nowadays. I guess that’s a good thing. 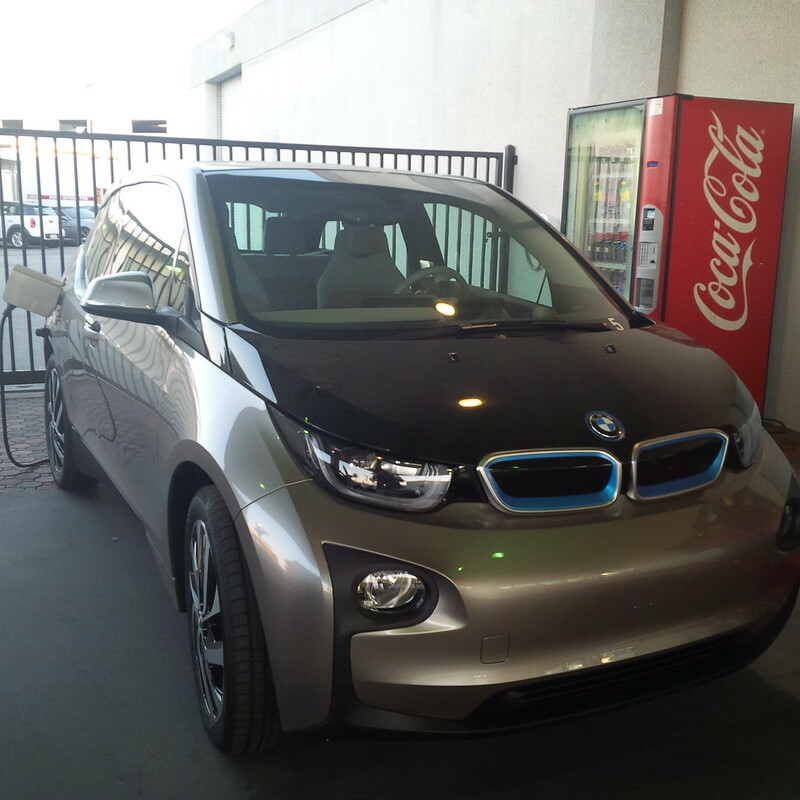 Still waiting on final word on what the i3 Electronaut Edition will look like, but just got the good news that my office move will give me the opportunity to install a NEMA 14-50 or NEMA 6-50 outlet in my parking spot. I feel privileged that my CEO approved this expense, but note how silly certain locales are at thinking about workplace charging. Barring any local city ordinance, I should get the NEMA outlet installed before we move at the end of the month. As long as the electrician filing the paperwork specifies that it is just an outlet we should be good. The previous landlord (and location) had tried to install two Chargepoint EVSEs last year, but backed out when the city ordinance required a separate feed from the utility for the additional 60 Amps that EVSEs would have drawn (and thus cost prohibitive). To compare, this change in civic requirement increased the outlay from the landlord from around $10,000 to approximately $30,000. The NEMA outlet will cost around $1,000 because of the length of the cable run AND allow for 40A charging (for vehicles that support that). Using my converted Model S MC that TonyWilliams converted for me (now called JESLA) I will be able to charge many J1772 EVs at the office In my own parking spot. I know for a fact that aside from either Tesla (Roadster and Model S), I have been able to use the JESLA with my ActiveE and my Mom’s Nissan Leaf. 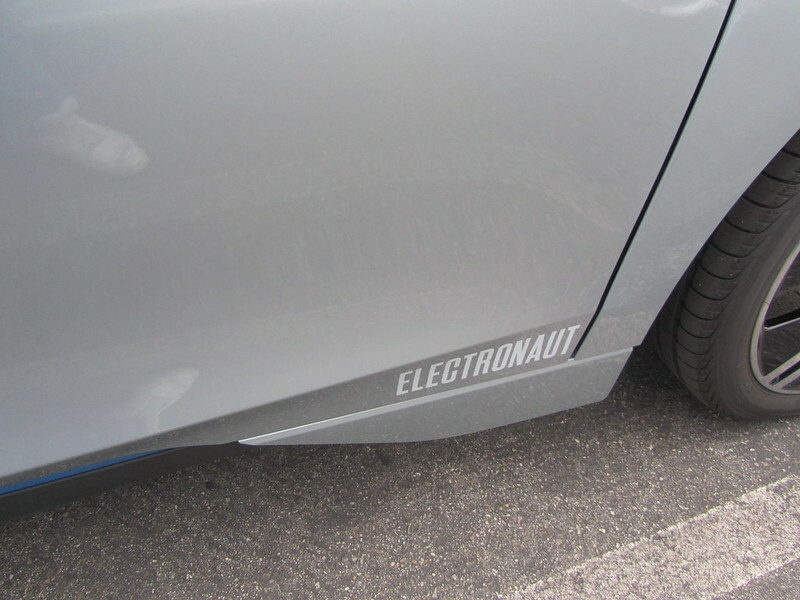 Additionally, TonyWilliams modified the Tesla Model S MC to work with the 2nd Gen RAV4EV. Basically, having access to workplace charging (in my own spot) will free me up again to look at my commuting EV options. If I go i3, I’ll be able to go pure BEV. Though, the REX will probably add to the resale value of the vehicle. 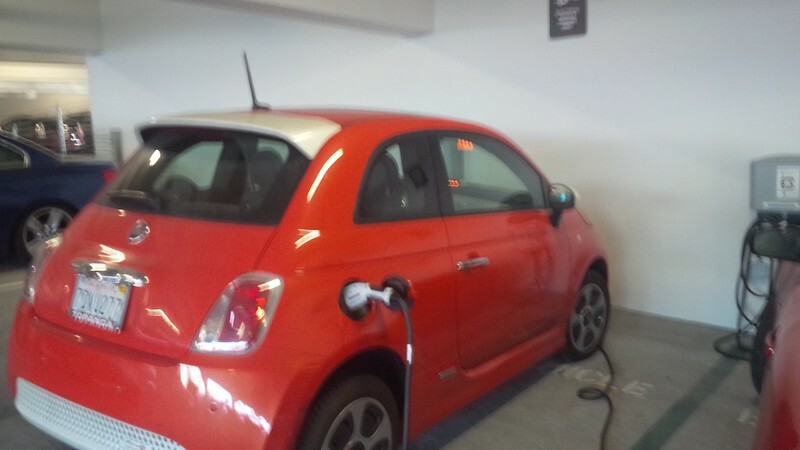 I can go Fiat 500e and not worry about it or perhaps babysit my mother’s Leaf when she takes a vacation. My EV friends in Europe often charge in what they call “dumb” outlets up to 32A and that’s basically the freedom I get with the JESLA and a NEMA socket. Having communicated with fellow ActiveE high miler Todd Crook, I am tempted by the unlimited mile lease he has on his 2nd Generation RAV4EV purely based on economics. The better half doesn’t like the car. If my number gets called for the Honda Fit EV unlimited mile deal, that would also be as tempting. Though my old brand loyalty to Honda can reassert itself. Decisions, decisions. So, on the 24th of February, 2014, the day after my ActiveE is ripped from my hands, I start my new office location with an outlet that would’ve been a lot more convenient than my 3/4 of a mile walk to charge. That’s the kind of irony that is worthy of Beckett, in fact, I would label that closer to absurdity. Additionally if I decided to skip other EVs and stick with the Roadster for the better half and Model S for my commute. I really won’t need to plug in all the time… But, could keep the Model S on 50% daily charges so that I can maximize battery health. It’s a wild, wild concept. 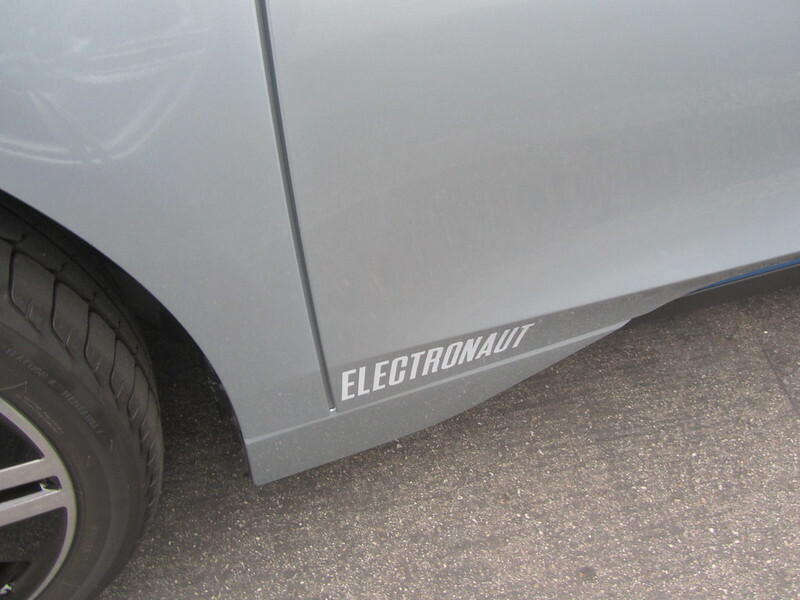 So… Tom Moloughney, Electronaut #1, has covered this subject numerous times (To Rex or not to Rex original and its follow up) and as much as I am against hybrid vehicles, I have been convinced by Tom and others that if we were to order an i3, I would probably opt for the REX enabled one instead. 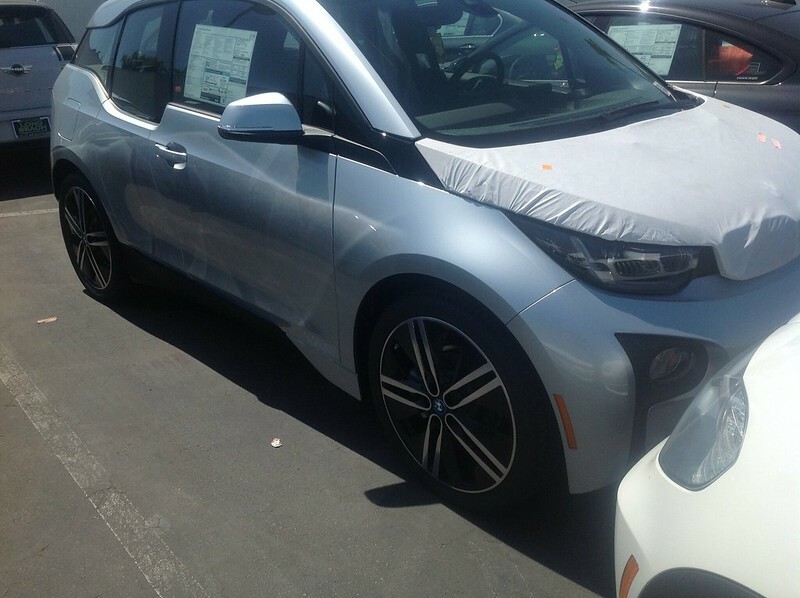 However, yesterday, a couple of news reports from The Street and InsideEVs.com have posited (pretty reliably) that the i3 with REX will be eligible for the much more limited Green Sticker (limited to the first 40,000 vehicles in California) for the HOV versus the unlimited white sticker variety. For a good run-down on why this matters to Californians, I direct you once again to Tom Moloughney who just wrote about it on his blog. Now… As readers know, I really like the i3… However, at this point a third EV (because the Active E is going back in February) is really a luxury and not a necessity. Now that does not mean that we won’t do it, it just means that there needs to be something that compels us to pull the trigger on an i3. We continue to run a hybrid garage and prefer to separate our ICE vs EV trips on a vehicle by vehicle selection and not by a gas engine running in our EV. As much as I wish to hold on to my initial beliefs at the start of writing this blog. I have become Accidentally Environmental. So, I actually felt that the original proposal to extend the HOV access for the Green and White stickers with differing dates did make sense. The compromise that got the stickers until 2019 is just that, a compromise. The original extension proposed a phase out of the green stickers for HOV use in 2018 and the white ones at 2020. Knowing that I wanted to be pure BEV, I was all for that proposal. So, if the California Legislature were to actually expire these privileges to adopters of cleaner vehicles on 2019, neither Green nor White can drive solo in the HOV lane, there is no benefit that one vehicle has over the other. However, there may still be a better chance of the White Sticker to be extended because it is inherently cleaner than the Green Sticker vehicles. There is nothing but faith that leads me to posit this. Therefore I can not provide any other backing of this belief. So, should we even decide to continue a relationship with BMW i, do I get a REX enabled i3 or the pure BEV i3. 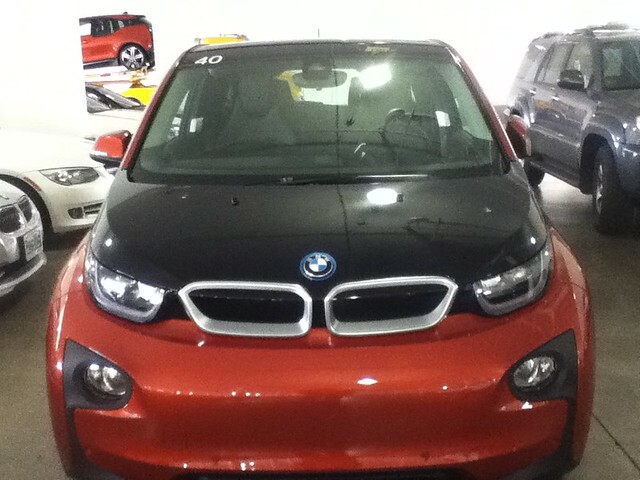 I was leaning toward the REX i3 because I often do 102 mile days. I prefer to drive the Active E now over the Model S. They are both excellent vehicles, I just am more comfortable with my Active E. As I drive the Model S more often, I still like a lot of things that BMW does. Is this enough to add a third EV? Well, it really depends on getting the better half to agree that the car does not look as bad in person as it does to her in pictures and whether we decide to garage my wife’s Roadster more often. If we do get the i3… Rex or Not Rex? Well, we’ll see. 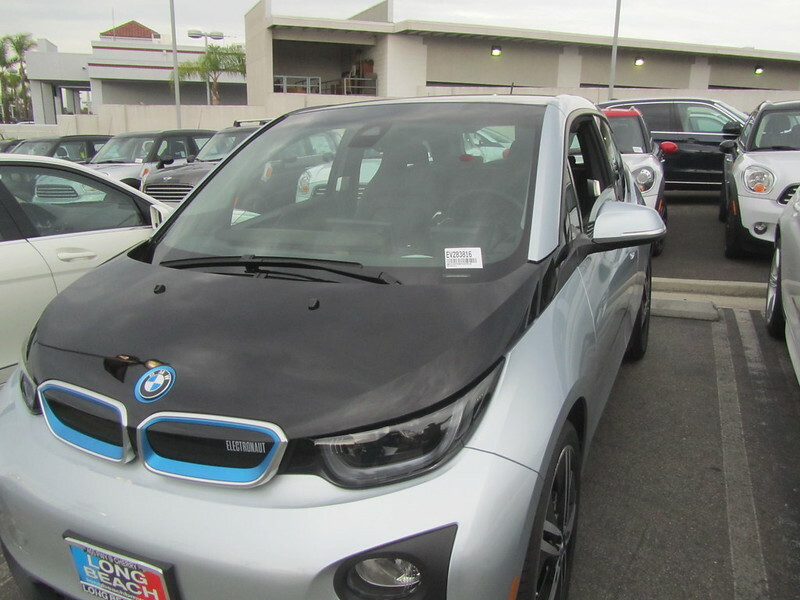 Luckily, being a fan of games of chance, I think that there is a better than average chance for ANY California Electronut (BMW Active E Electronaut) to get the REX enabled i3 for a Green Sticker. But this is a $50,000 bet for a smaller return. 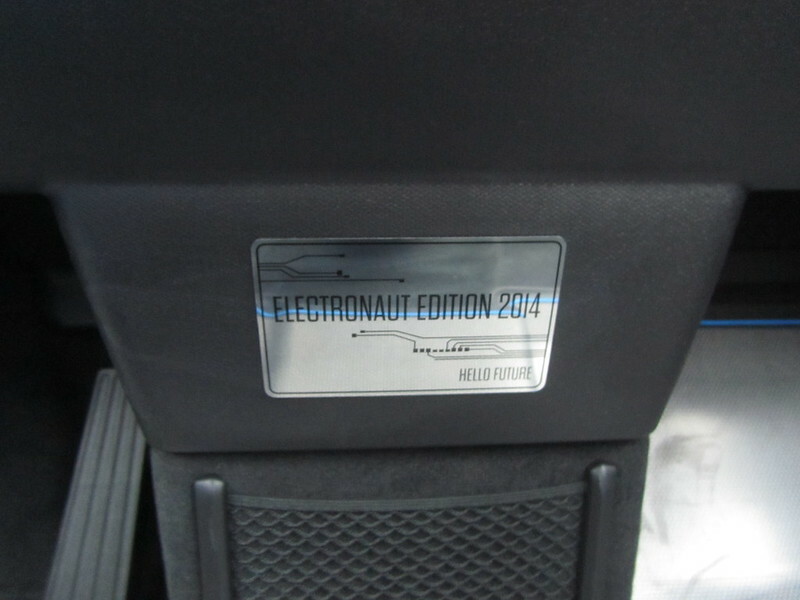 It would make for better resale values to have a special “Electronaut Edition” of the i3 with REX AND a sticker. After 2019, it might not matter. It suc*s not to have SOC! Pardon my pseudo censored profanity… But it really does suc*s not to have SOC (State of Charge). 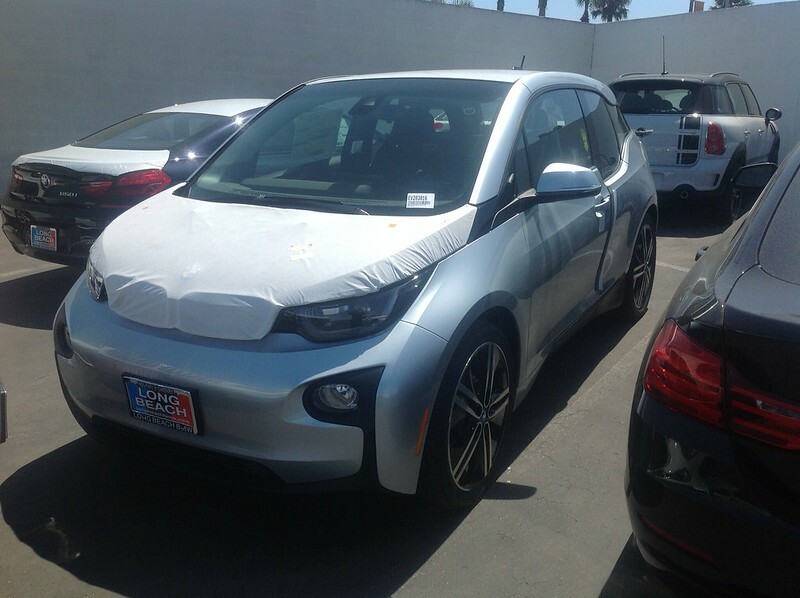 An interesting counterpoint was published last week about the i3’s revolutionary and extremely accurate guesstimator on Insideevs.com that was well written and argues very well. However, I still don’t buy it. As much as BMW will do its best to act like the NSA and track my every move and predict how I behave, it’s no skin off their teeth to hide the screens for those of us that still want this capability. I have dedicated a preset on my Active E just to pull up said SOC (preset six, for those that want to know.) The initial range of the guessometer will be based on how the car was driven the previous X miles (30 or 40 if it uses the same as the Active E). This will create a nice overlay on the general map of the area to give you the range in Comfort, Eco, and Eco Pro Plus modes. All fine and dandy. However, what if my wife was driving the vehicle the prior 30 or 40 miles. It will predict the range based on HER driving style and not mine. Posted on December 16, 2013 March 28, 2014 Categories ActiveE, BMW iTags ActiveE, BMW i3, BMWi, Comparing other electric cars to ActiveE, i31 Comment on It suc*s not to have SOC! 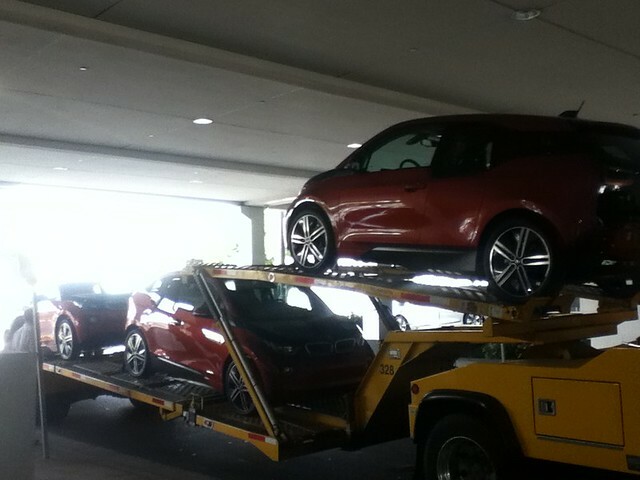 It looks like three of the BMW i3s that were at the Convention Center are now at Pacific BMW in Glendale. 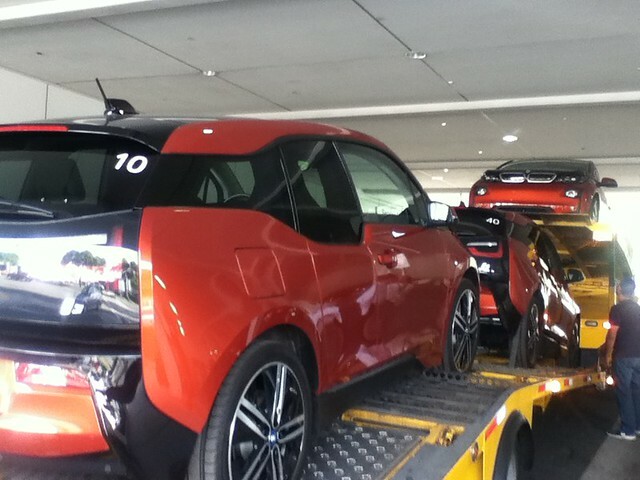 I was charging up my Active E for its daily commute when a truck pulls up with three of the i3s. 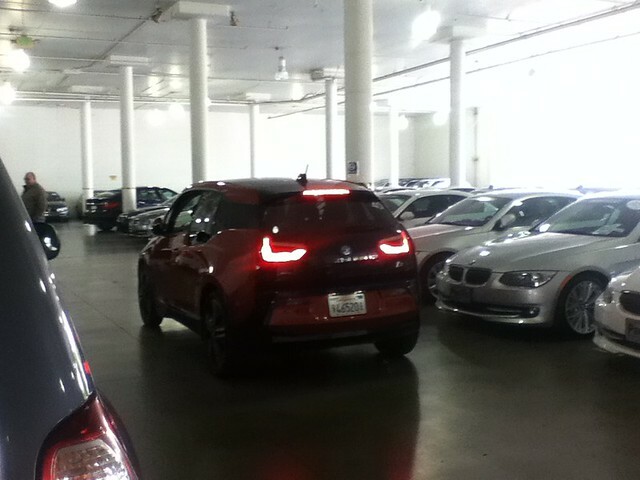 I was wondering if they were going to drop one off… Looks like all three are for Pacific BMW. In speaking with some of the staff, it looks like these three will be at the dealership until customers get deliveries of their vehicles next year. More pictures on the flickr set.